With strong word of mouth, romantic comedy drama Luka Chuppi has showed impressive performance at box office for first couple of weeks. After that it got slowed due to new offerings but still reported decent business in the third week. Now in the fourth week it has new biggie Kesari in opposite, so the considerable drop in footfalls is normal. Directed by Laxman Utekar, Luka Chuppi received positive reviews from the critics as well as the audience and gathered a solid word of mouth. As a result, it remained super strong throughout the opening week and did the business of 53.70 crores which included 32.13 crores in the weekend and 21.57 crores on weekdays. In the second as well, it maintained a solid pace and registered the business of 21.54 crores with 13.66 crores in the weekend and 7.88 crores on weekdays. Then in the third week, the film got affected by Badla and but still managed to garner 11.75 crores with 7.27 crores in the weekend and 4.88 crores on weekdays. After 3 weeks, the total collection of Luka Chuppi was recorded at 86.99 crores. Now Maddock Film’s presentation has entered in the fourth weekend and still has enough hold over the audience. On 3rd Friday, it faced some drop than the previous day and minted the amount of 0.61 crore. 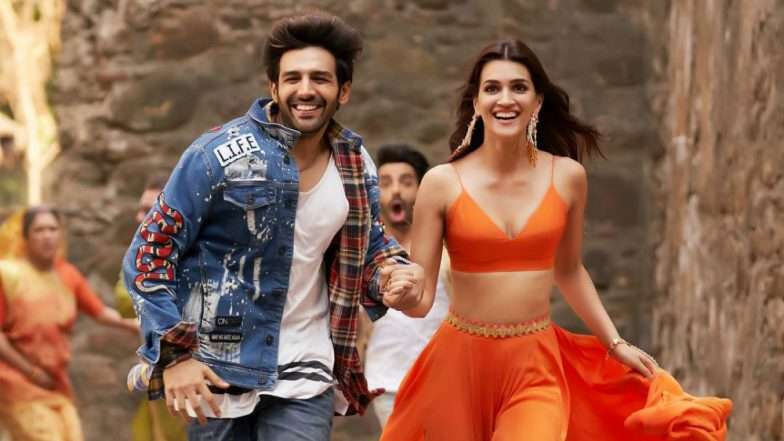 With this, the 22 days total collection of Kartik Aaryan and Kriti Sanon starrer Luka Chuppo has become 87.60 crores nett at the domestic box office. Once again, it is expected to witness a good jump in footfalls over the fourth weekend.